Our first snow of the season has finally arrived. I’m a snow guy. But here in western Ohio, it can be hit or miss. Last year we didn’t see enough all winter to even fire up the snow blower. But this year seems to be a little different. As I was running the snow blower, it made me think about how lucky I was to not be shoveling. We have a pretty long driveway and shoveling isn’t realistic. 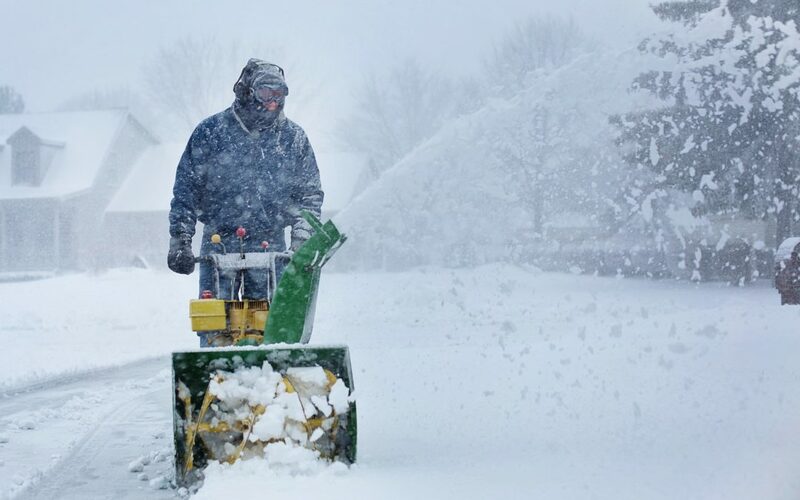 Even with the snow blower, it can take over an hour to get cleared. So, who knows how long I’d be out there without it. Imagine builders framing or roofing a new home with a hammer instead of a nail gun in 2019. Imagine a NASCAR pit crew using an old four-way lug wrench to change tires. Think about how much additional work it would be farming 5,000 acres without a tractor and a combine. The moral of this story is that the right tool can really help get the job done faster and more effectively. The flipside of this is that the tools might be more expensive and complex than just doing it the manual way: Should you buy a snow shovel for $10 or a snow blower for $500? The snow blower might be cost-prohibitive for some and too complicated to operate for others. So, they just stick with the shovel. I think this is like what we do at Marias. I’m not sure my co-workers would like being compared to shovels or snow blowers. But there are some parallels. For insurance companies that buy new systems or are facing issues with their current systems, companies like Marias can be used to make the job go quicker and the outcome be more successful. The insurance company is the homeowner and the system is the snow. The snow either gets removed with the shovel or the snow blower. For the insurance company, much like using the shovel, running the implementation and testing the system themselves with internal resources might be less expensive … at first. It may take much longer and cause a lot of pain, but it will eventually get done. Do time and pain have value to you? Hiring a Marias type company to assist is more expensive, but the job will get more quickly, less painfully, and less expensively in the long run. Whether you are facing a snowstorm or replacing your policy administration system, consider using the right tool at the right time. It might just save your back (or your job).